I’ve made cinnamon apples lots and lots of times. They make a great side dish, especially during the months of fall. 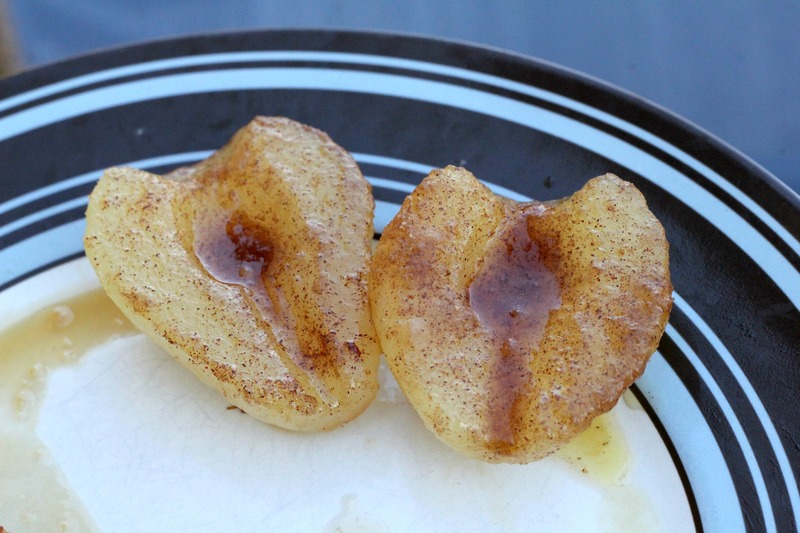 This was my first time to make cinnamon pears, and I gotta say, I think I stumbled onto something great! In fact, my husband and I prefer the pears to the apples. 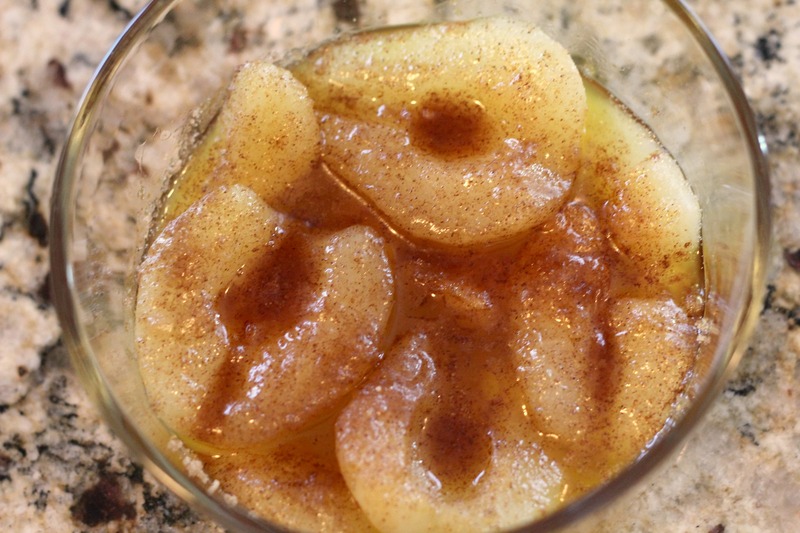 These can be made with either canned of fresh pears. I used canned because I thought they’d be a little softer. They were reeeeally good, but I was disappointed that I didn’t get more! The can had several that were broken and not complete halves. So you have a little more control over how they look if they’re fresh and you cut them yourself. 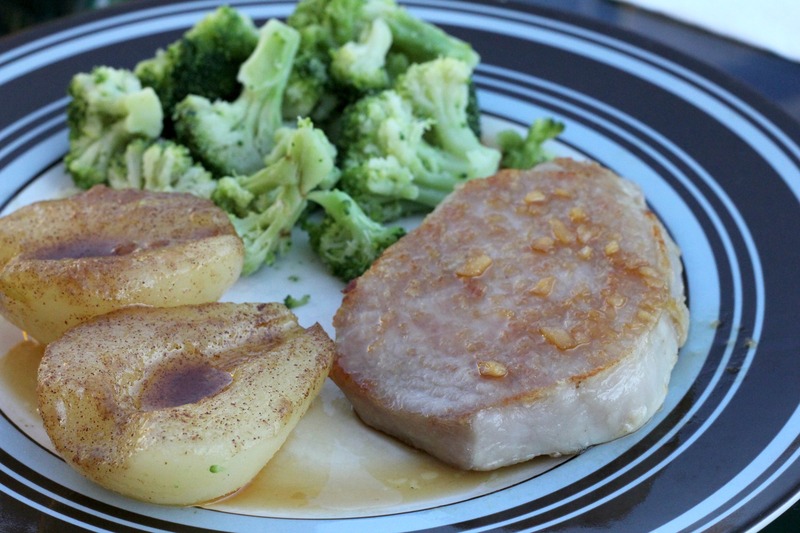 These were the perfect side dish for my Honey Garlic Pork Chops! Place fresh pear halves in baking dish or pie pan. Brush halves generously with butter. Sprinkle brown sugar and cinnamon mixture atop halves. Bake 10-12 minutes. Sounds so good! good one! Thanks! We’ll definitely be making these many more times! I made these tonight. So yummy! I didn’t have enough brown sugar so I had to make my own with white sugar and molasses. Thanks I had some pears that needed to be eaten. That was very resourceful of you with the sugar and molasses! I’m so glad you liked them. I love it. Easy to make also. Thanks Sofia! Isn’t it great when things are both easy and delicious? !